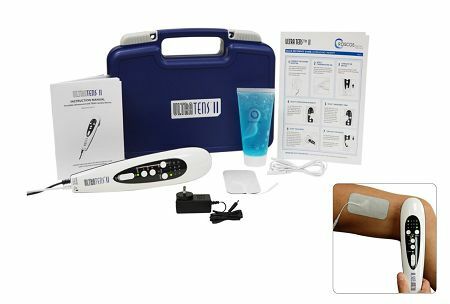 The UltraTENS™II combines the two most proven therapeutic modalities for pain relief - ultrasound and TENS - into one compact and sleek device. 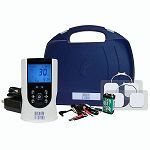 Deep heat from the therapeutic ultrasound, and TENS therapy, can be used simultaneously to help patients treat chronic and acute muscular pain. Clinically tested and FDA-approved. **Note: Portable Ultrasound may only be returned if the product has NOT been used. Used Ultrasound devices may not be returned due to sanitary health reasons set by the FDA. If you are attempting to return the device due to defect or malfunction with performance, this would go through the warranty and we ask you to please contact us for a warranty claim. NICE UNIT, WORKS AS DESCRIBED. I had purchased this as a Christmas gift for my son because of his painful arm. It has been a great success, I even used it when my shoulder was giving me problems. I am very pleased with this unit. I have a background in physical therapy and have had an ultrasound machine used on several parts of my body over the years due to sports injuries. I would recommend this product as it was recommended to me by a local physical therapist. The first one I received stopped working after 2 treatments. I contacted Tens pro and they sent me another one. It works like a charm. If you have sciatic or muscle problems don't hesitate - buy one you won't be sorry!!! I feel like I've been waiting an eternity for this product-an affordable combo unit-only to think it is OK.I think the most disappointing part of the device is that the true advantage of a combo-being able to target the tens-is not featured as a separate option. It requires you to ALWAYS have the ultrasound on. So you can not just use the pin point tens. Other than that, it's OK.
Unit is easy to use! Getting positive results! Love using my TENS - got great.....results! Highly recommend. I have had it for over a month now and use it almost daily. Great product. Highly recommend. Very easy to use. Like the smaller model with the hard travel box that provides easier travel with the unit. Quality of the second edition unit is just as good as the first edition. The only thing the first edition has that I wish this second edition had is a countdown timer display. My wife wrote a bad review based on the medipads we purchased at a home show in New Orleans yesterday. We charged them up and neither worked. I drove back to the show today and the salemsn could not have been nicer. He was shocked that we were having issues. He opened two more boxes and they worked great. I cane home and put one on my wife’s hand. She is starting with arthritis. After 10 muns of electrode stimulation she said her hand wuit hurting and she felt great. Now she is sorry she wrote a bad review. She trued to do a good review and it told her she was only allowed onecwriteup. So I’m writing this one to replace hers. These are great machines and the company is first class! Very reliable! We r bery pleased with this product!! Q: This is a combo unit... Where do I plug the electrodes of the tens unit? Does it have a separate unit? 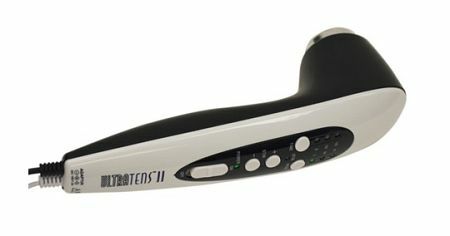 With the UltraTENS device, the TENS therapy option is applied directly through the soundhead, making this device very unique and innovative compared to traditional TENS units. It does come with one 2" x 4" grounding electrode, which must be applied somewhere on the skin and connected to the soundhead in order to use the TENS feature properly. A grounding electrode is not needed for ultrasound therapy, though. The conductive gel included with the package, which is also sold separately, is only meant for ultrasound therapy as well - it is not needed for TENS.